These days cruise ships cover every region in the world but always make stops everywhere within those regions. There are some real hidden gems which cruise ship passengers are missing out on. We’ve come across some destinations where we think cruise ships should go. These places we’ve featured don’t necessarily cater for ships but in the industry today a cruise line can simply build a port for themselves! The UK cruise industry is pretty big so its surprising that southern parts of Wales are not visited by any major cruise ship. 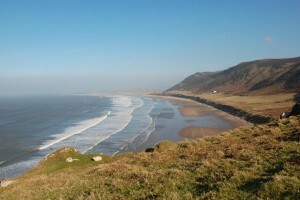 Wales has some of the best beaches in Europe and those beaches are backed up grand green fields. Within those fields are cute little towns and villages with enough history to keep any cruise passenger busy until the ship departs! the region is also covered with historic buildings and castles which many guests would enjoy. Necker Island is a small 74-acre island in the eastern Caribbean. The island is owned by British billionaire Sir Richard Branson who is also known for the Virgin Brand including the upcoming Virgin Cruises. The entire island is a resort and can cater for up to 28 guests so not so good for a large cruise ship. This island could possibly be used as a shore excursion from the cruise ship for passengers wanting to discover more about the private island. Also for sure there would be plenty on offer on Necker Island because Branson is just so well-known for doing the impossible. The Phi Phi Islands are a popular holiday destination in the South of Thailand and not far from Phuket. 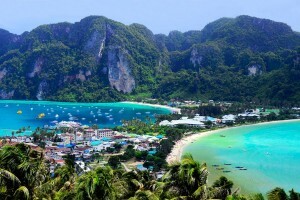 The main island called Ko Phi Phi Don is the main island which can rival any Caribbean destination. On offer is amazing snorkeling and diving tours with lush blue water. The beaches are white so for people who love cruising to the Caribbean this would be perfect. Although small passenger boats a ferries do visit the island larger cruise ships are missing out on this paradise island. The population of the Phi Phi Islands is 2,000 to 3,000 people not including tourists. There’s plenty on offer with good restaurants and bars, all they need now is a large dock! Are there any destinations you know of which cruise ships dont sail to? Let us know if there are and also add your opinions on our choices in the comments below.